Long waiting lists seem to have become a permanent feature of Canadian health care. But what are the effects of having to wait a long time for medical treatment? Is it just an annoyance, or are the consequences more serious? A short documentary released this week by the MEI, entitled "The Harmful Effects of Waiting Lists for Patients," makes the case that long wait times are more than just a nuisance. Rather, they have substantial negative effects for patients in terms of deteriorating health conditions, psychological distress, and loss of income. If a patient is stuck on a list for two years waiting for back surgery, it's hardly surprising when his condition worsens, as was the case for one of the people interviewed in the video. He finally decided to seek treatment in the United States, at significant personal financial cost, rather than wait any longer. On the psychological side, being in need of medical care is stressful enough all by itself. But having to wait for treatment makes it worse, especially when you don't even know how long you'll have to wait. And according to a lawyer specializing in health care issues who is interviewed in the short documentary, legally speaking, this psychological stress is a violation of the right to security of the person. 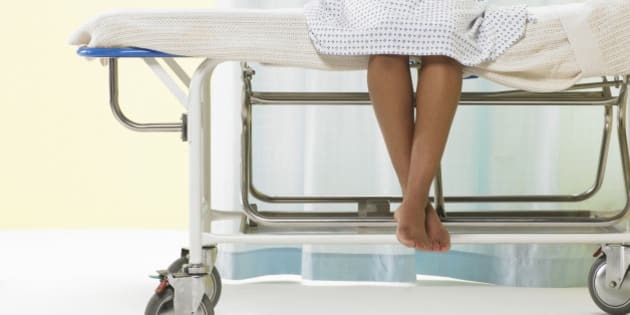 Moreover, above and beyond the physical and mental health implications of long wait times, there is a substantial financial cost due simply to the lost income of patients who are unable to work while they wait for treatment. Across Canada, this amount totaled $1.1 billion in 2013 alone. So what do we need to do to get this problem under control? It's not a question of spending more money, because we've tried that, and it hasn't worked. In Canada, real public health expenditures have increased by 71 per cent over the past 20 years, yet instead of becoming shorter, median wait times for an operation have grown 95 per cent longer over this same period, which means they've nearly doubled in length. But it's not hopeless. Long wait times are not simply the price we have to pay to have a universal system. In other countries with universal health care -- countries like Australia, Germany and France -- wait times are much shorter. The crucial difference between Canada and those countries is not that they spend more money than we do, it's that their governments allow competition in the provision of care within the universal system. Patients have the freedom to choose the medical facilities where they want to be treated, whether in the private or the public sector, and the money follows the patient. This encourages a better, more efficient allocation of resources without sacrificing quality. If we want to whittle our waiting lists down to size, we should emulate these successful policies.